Janome America is proud to offer the quality and reliability of Tin Lizzie long arm machines through participating dealers. Tin Lizzie products are constructed from the best materials, and built by the best manufacturers. 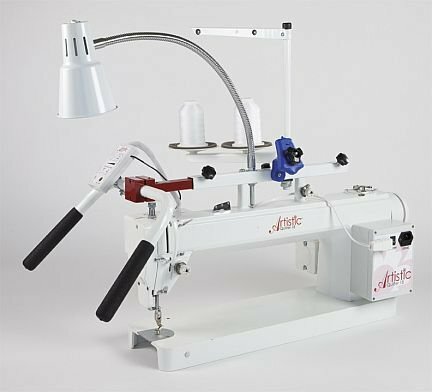 They have designed their products to meet the needs of the today’s quilters, including stitch regulation, large capacity bobbin, and a built-in, no-mess oil reservoir. With the most streamlined design that modern engineering can offer, TinLizzie18 long arm quilting machines are large enough for the professional quilter, yet affordable enough for the everyday quilter. Learn more about the TinLizzie range of products by clicking here.